The LG G6 will have wide-angle cameras both on the front and on the back, a new official teaser from the Korean company has revealed today. The selfie snapper will have a 100-degree field of view, though its resolution hasn't been mentioned. On the back both cameras making up the dual arrangement will come with 13 MP resolution. One of them will have a 125-degree wide angle lens, and they will work in tandem to provide you the best possible shots. There will be various shooting modes, including 18:9 (using the full width of the screen), 1:1 (square) - which LG says is perfect for Instagram posts, panorama, food mode, and others. Even when you're not shooting in 18:9, the full width of the screen will be put to use since the camera app will show the last few pictures you've taken on one side, saving you a trip to the Gallery. You'll also be able to combine from two to 100 images into a GIF directly from LG's built-in Gallery app. 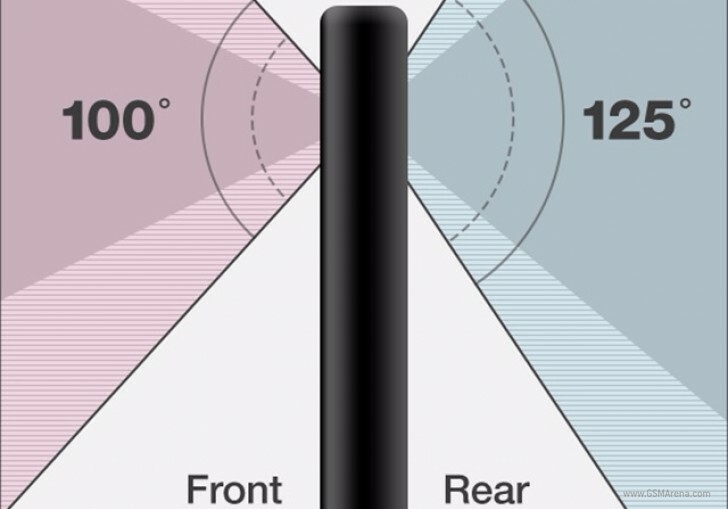 The company says that the wide angle rear camera's 125-degree field of view is "most similar" to a person's, which thus means you'll be able to capture (almost) the entirety of what you see with your eyes in every shot. The G6 will be officially announced this coming Sunday at Mobile World Congress in Barcelona, Spain. It's expected to come with a 5.7-inch 2,880x1,400 touchscreen, the Qualcomm Snapdragon 820 chipset, a full metal build, water and dust resistance, and a non-removable battery with a capacity greater than 3,200 mAh. Thanks for the tip, Bledi! Don't need two wide angles on the back, bad move. It will have a better low light performence compared to the wide angle camera on the G5. In G6 there is actually two rear cameres. One with "normal" angle and one with wide angle. I'm not agree with this info, I think that G6 will have 20 degrees more than human eye that actually is 125 degrees. So G6 will have 145 degrees of ultra wide angle.